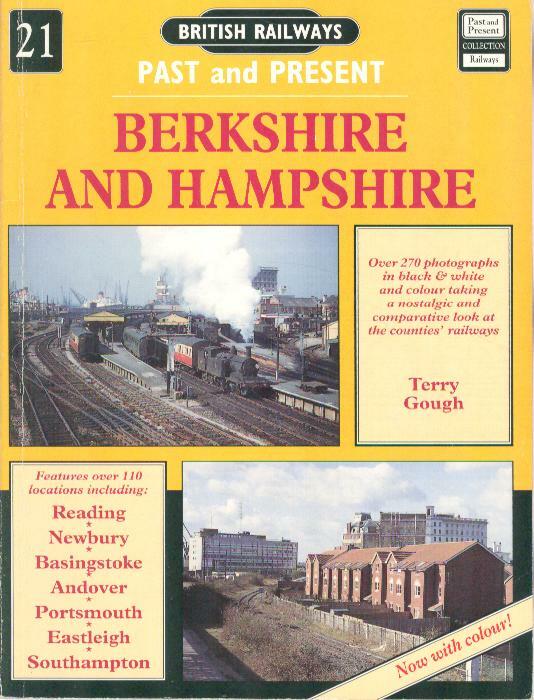 British Railways Past & Present No.21 - Berkshire and Hampshire. Gough, Terry. Past & Present Publishing Ltd, 1994. 1st Edition. ISBN: 1858950422. 144 pages. 410g. Pictorial card cover Very Good edge rubbed to extremities and light crease to rear bottom corner, with contents clean and tight. Illustrated with over 270 colour and b/w photographs. A nostalgic and comparative look at the counties railway, many of the lines now having closed.